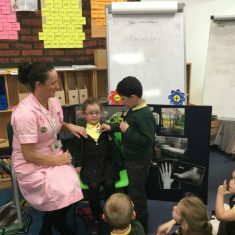 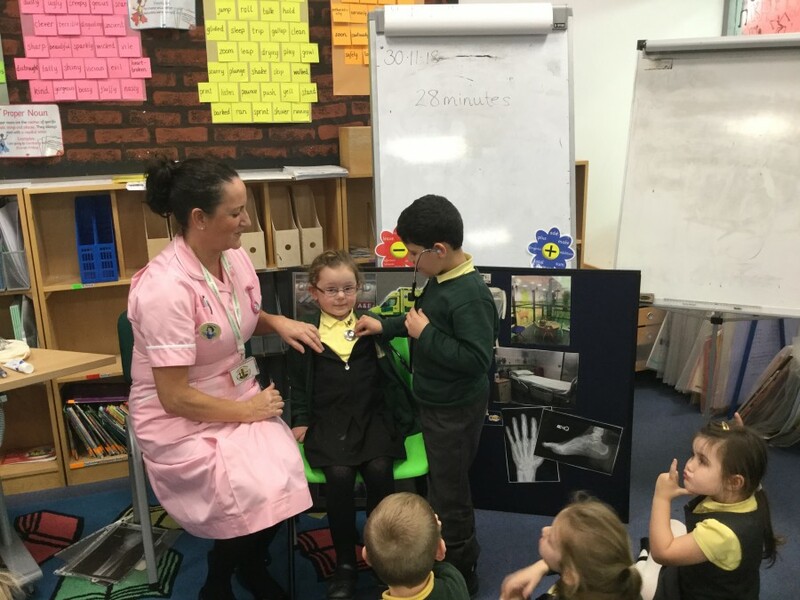 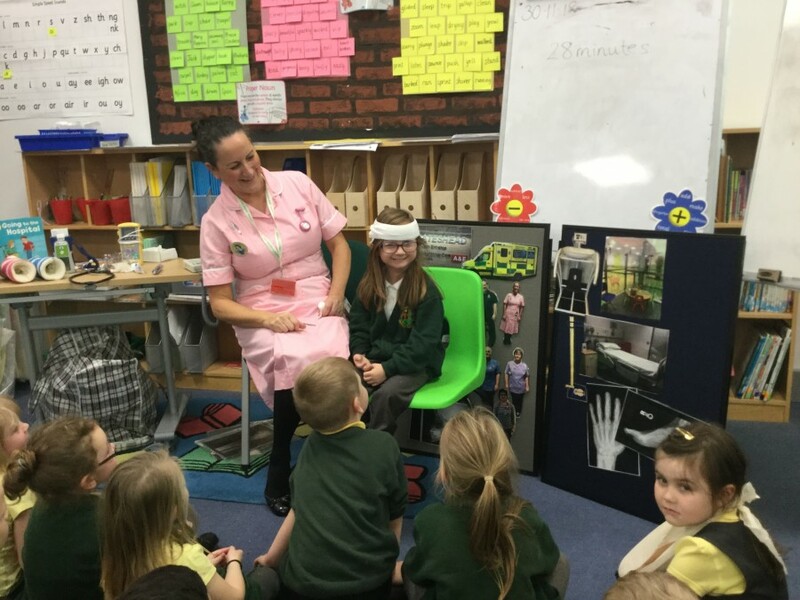 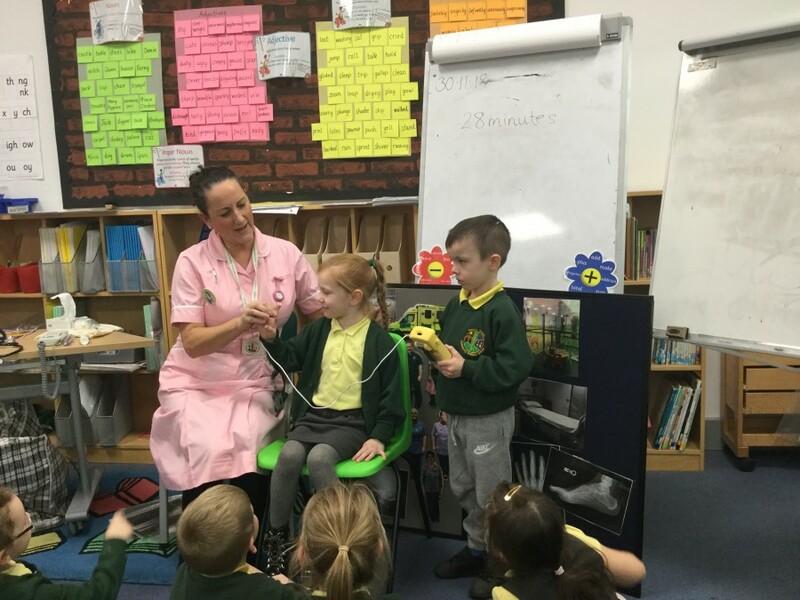 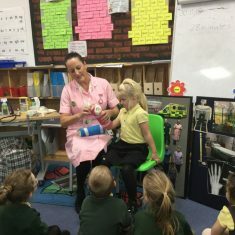 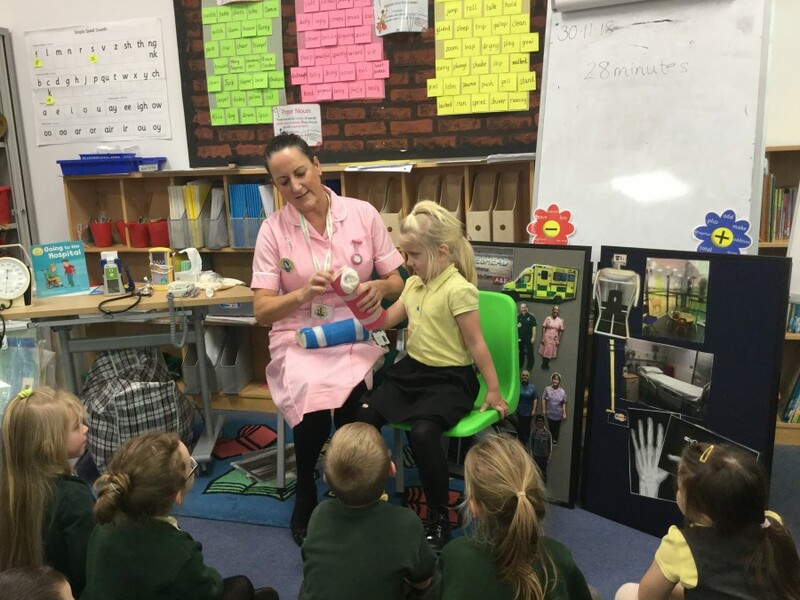 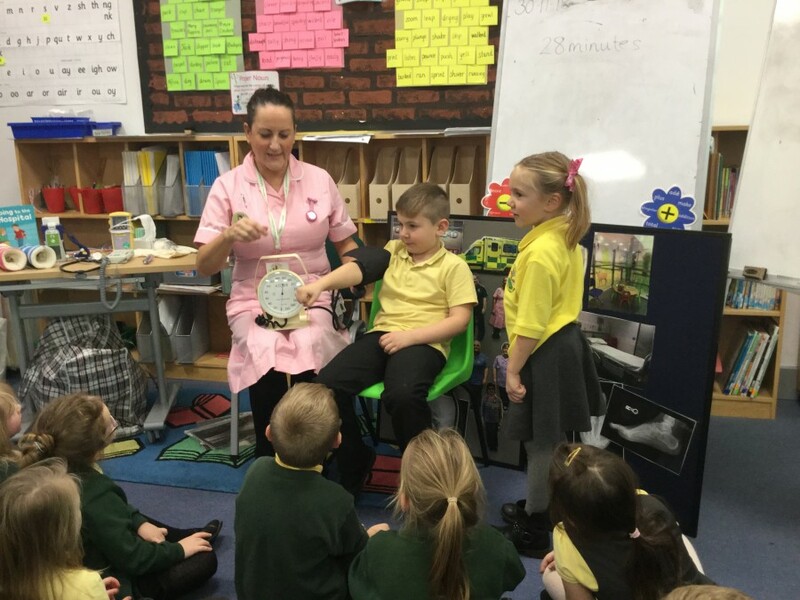 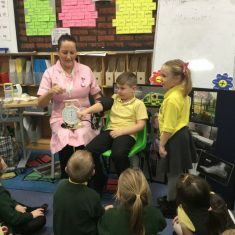 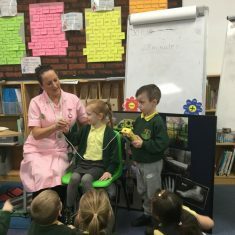 This week Year One were so lucky to have a nurse visit from the Queen Elizabeth Hospital. 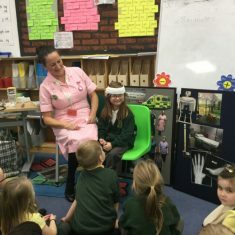 They learnt so much about what it is like to go into hospital and the people who work there. 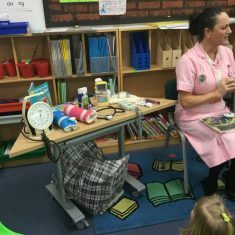 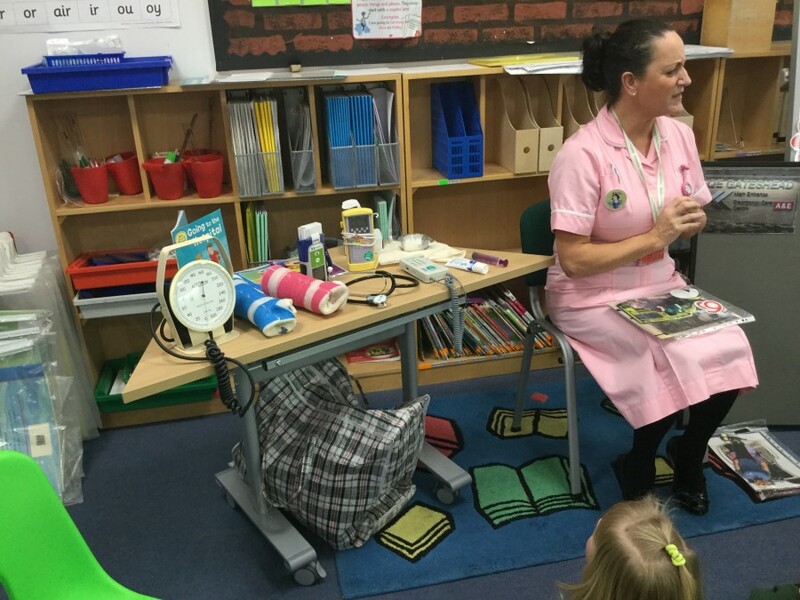 Some children even had a go at taking a patient’s blood pressure and applying a sling.